This entry was posted on May 16, 2011 by Contrastique. 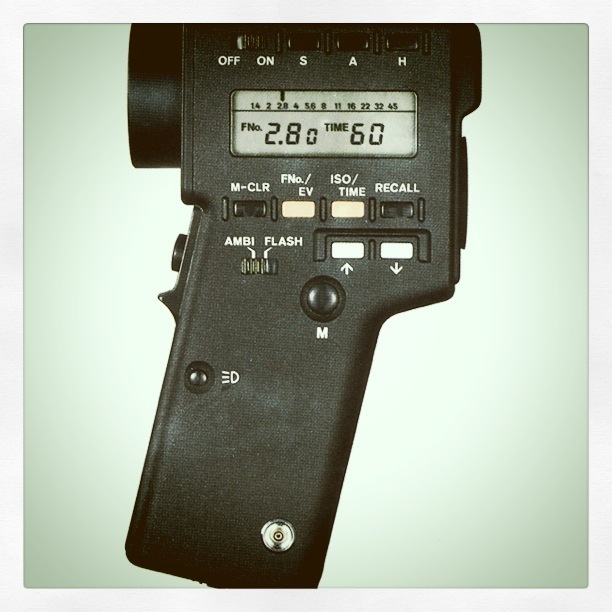 It was filed under Atelier Contrastique and was tagged with gear, manual, Minolta, Spotmeter, Spotmeter F.
That’s a sad story and a great light meter! I was also waiting for this for quite a long time and finally…! Nice new camera!! What will you be doing with it (besides the obvious making pictures thing)? Anything specific you want to use it for? On a side note: when will the next Picto meeting be? I really want to make this time, I missed it! Ik heb helaas geen Nederlandse handleiding tot mijn beschikking.